A panic attack is a rush of intense fear that triggers both physical and psychological reactions when there is no real danger or apparent cause. One might think he or she is losing control and is having a heart attack or even dying. One may feel an overwhelming sense of fear and unreality as if he or she is being detached from the world. This may have many variations but the symptoms tend to peak within ten minutes. It is not known as to what causes panic attacks or panic disorder, but there are a number of factors that may play a role such as genetics, major stress, temperament that is more vulnerable to stress and changes in the way some parts of the brain function. Seek medical advice if your symptoms are persistent and you're finding it hard to manage on your own. 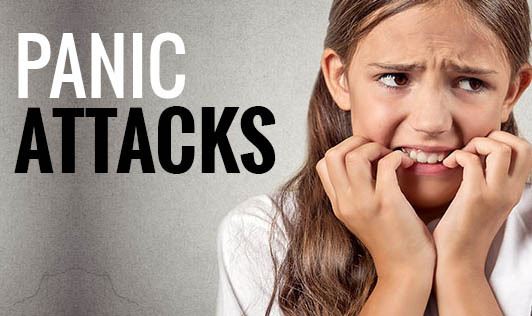 Panic attack symptoms sometimes resemble other health problems; hence it's important for you to get evaluated.